We call upon all social movements in Europe to unite against the crisis and participate in the international day of action on 29th of September initiated by the European Trade Union Confederation. Only together can we achieve the necessary solutions to the social and environmental crisis. We say yes to solutions creating jobs and serving common needs paid by stopping the rich from accumulating a larger and larger part of the wealth in society. The whole world has been hit by a severe financial, economic, social and environmental crisis. Globally, the most severely hit region is Central and Eastern Europe. But all over Europe from Latvia to Iceland, Russia to Romania and Greece to Spain we can see social and environmental problems growing and we are sure that the worst of them are still to come. Today’s crises are systemic ones driven by the neoliberal ideology that have sold out long-term investment, jobs, wages, the environment and the general well-being of the planet and its people for the benefit of a few. The aggressive principles of financial capitalism are building up threats to democracy and peace. Nationalisation of problems caused by the multiple crisis leads to divisions and hunt for scapegoats within the various societies, as well as to splits between North and South, East and West. We can see the advance of Right wing, populist and extremist forces as well as the state repression of progressive movements in many parts of the world. 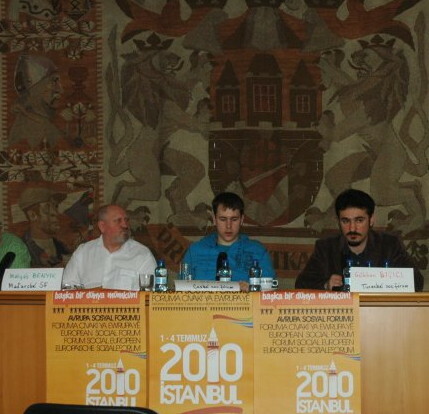 The representatives of the social movements of Europe gathered in Istanbul between 1st and 4th July 2010 explored the effects of these crises on the lives of people. They came to the conclusion that the EU and the IMF with the complicity of the governments impose austerity and social regression policies, which cause serious social degradation and make people fall into poverty. The global crises are spilling over into our lives, threatening jobs, savings, pensions and public services and environmental protection everywhere! To challenge these policies it is an urgent need to build an European-wide struggle which brings together social movements, workers, peasants, women, youth, environmental and others activists organized in associations, trade unions or networks of different kinds. Solutions can be found by simultaneously addressing the social and environmental needs. We should elaborate constructive programmes for a transition of our societies towards social and environmental justice, protecting and developing our commons. We call upon all peoples’ movements in Europe to act against the crises and struggle for solutions that give jobs and make the rich pay. What we need is a massive mobilisation across all of Europe on the 29th of September 2010. 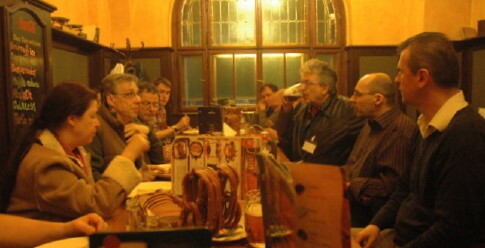 The meeting in Prague March 2010 that initiated the Prague Spring II network. Here I was standing he says moving his body back and forth showing how he stopped the fascists recently from going away when they wanted to march towards the Prague city centre. All the others were young activists, not very many. He alone was from an older generation. The police came and stopped the antifascists from blocking the way of the right wing extremists. I am told the story by Mirek Prokes when we pass the bridge across the Moldau river where it all happened. My companion tells me a story which seems common in many places in Europe today. One last man standing among the older generations, none from the generations in between and then only young activists protesting. Mirek Prokes is busy. He is preparing the Alternatives to right wing extremism in a time of social and ecological crisis conference that will take place the following days. But he cannot stop himself from showing me the new model railway exhibition in Prague. He had to give up his whole collection of model trains when he was forced out of his old apartment, but he still have the interest. And it is there, full of all the Czech model train products, exhibitions about Czech railways and a full scale Moldau river landscape with both trains and cars moving by themselves along the river. The Czechs are proud of their technical interest and like to play as well. At the city hall there is a press conference for the conference organized by the All European mobilization committee for the European Social Forum to be held i Istanbul July 1 – 4. It takes some time to find the the localities. I have to walk through long corridors of the proud municipal headquarters of the national Czech capital. Yes dominated by the Austrian emperor, then for the first time in many centuries independent, then under Nazí and Soviet rule and now again independent, still all the time Czech. But one wonders when one looks at the walls. 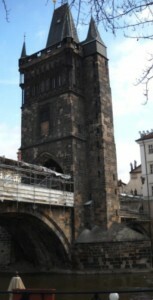 All over the place there are prominent visitors to Prague, primarily Hollywood actors and sport stars. I even find the Swedish tennis player Björn Borg there between the Belgian king and other odd figures that seems to be surrounded by some star quality that I do not understand what it has to do in a the municipal head office. In the press conference room very different characters looks upon us from the wall, very proud men that seems to have been mayors or the like through centuries in Prague. There are more people on the podium then from the press. But compared to Swedish standards there is much media attention for a social movement conference, three journalists puts questions after the presentation from Turkey, by the young Czech leader of the successful resistance against US long distance rocket bases in the country, by Austria and Hungary all under soft control by Mirek Prokes. After the press conference Mirek cannot stop himself from showing where he had been sitting for many years in the municipal hall fighting for better bicycle conditions in Prague, a prolonged but slowly successful battle which we could se on big posters set up within the building. As there were almost no resources for an office that implemented the decisions on a longer term made the propaganda from the actual results had to be made explicitly huge in the midst of the film and sport stars. He then shows us to the meeting facilities. It is hard to believe how it is possible. Right at the most attractive site in one of the most popular tourist places in the world we have our conference venue. In an old fashion restaurant situated at the Moldau river right under the Charles bridge with a huge modern projection from a computer above the speaker’s table between Greek colonnades. Every detail is planned. With most participants from low income countries all meals have to be considered. Water for drinking but good food and coffee breaks for all is included. At the back of the conference hall is the most important detail, the translator booths. Many languages will be spoken, Russian often but also English, German, Czech and French. Materials on right wing extremism and racism from UNITED are all over the premises. The reason why the localities can be used for a reasonable prize is the season. 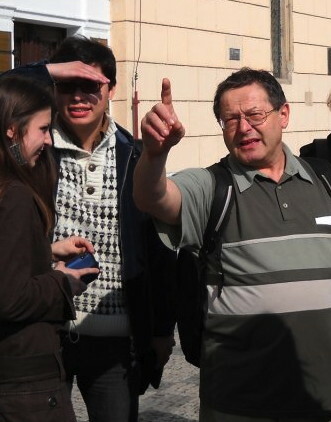 There are already many tourists in Prague but not yet the full invasion. Thus a Czech institution with the father of the nation Masaryk in its name could rent the premises for the conference. As an environmentalist I was a bit nervous about the conference. Should I not feel alone among the participants who I thought mainly should be involved in fighting right wing extremism and as such not necessarily much interested in ecological issues. I was wrong. Already at the press conference the anti-right wing extremism veteran Hermann Dworzak from Austria made a passionate speech about the need to struggle for climate justice and the up coming conference in Cochabamba in Bolivia for the right of Mother Earth. When the problems in Azerbaijan is addressed the ecological concerns also became cetral. Here the government used nationalistic feelings in the Nagorno-Karabach conflict with Armenia to sell out national oil well interests to Western corporations. What followed was not only social but also ecological problems. The environmental issue cannot so easily be disclosed by ideological arguments. Petrova from Bulgaria contributed by addressing educational issues and how Green cities was used as a method to mobilize people . It sounded at first as non-political but in the end the result was struggle for lower public transport fares for young people, an issue of importance in many parts of Europe. Experience of struggle against right wing extremism was given proper attention with the mass mobilization from many different strands ranging from Christian Democrats to autonom activists in Dresden as a great achievement. A new trend was also presented. Right wing extremists behaving and dressing up as black bloc anarchists using some of the language of the globalization critical movement. This seems to attract young right wingers in Germany, Ukraine and Russia. What was also a strong tendency is the growth of right wing populist parties. From France and Hungary speakers addressed the present situation. From Czech republic we were presented a poster by a main political party. On the picture there was two very grim muscular looking man sitting in the local pub doing nothing. It was time to stop these potentially violent people living on social welfare was the message and get them out of the local pub. Our Czech hosts told us that actually much of the message was directed against Roma people but it was to obvious and politically incorrect so instead it was the image of dangerous rude men that should give the right message to people to gain support. Interestingly the toughest guy in the centre of attention with a black T-shirt on had two necklaces hanging down on his chest, one with a peace symbol and the other turned around with the text Love. The pictorial message was thus clear, dangerous people living on social welfare with hippie life style ideals needs to be confronted by a strong and demanding political party and state. That the kind of person envisioned on the poster do not exist in reality is of no concern. It can be constructed as if it exists in the heads of voters. It is hard to not think about the posters made by the fascists during World War II or in Denmark portraying Muslims. They look very much the same. A Semitic grim looking man with beard with fists attacking the onlooker or with a bomb in his turban. Looking more closely at the older version of a Semitic man one could see that the star on his chest did not have six edges like the David star but five as the communist star. Behind him was skyscrapers in New York. But his headdress was typical Jewish, as typical as the later version with the turban was typical Muslim or Arab. Both of them as mysteriously combining symbols of violence to put a label on underprivileged groups in society. This in a way that was seen as useful to create distance among groups by the help of propaganda images that have nothing to do with reality. In Fascist countries during WWII, Denmark some years ago or Czech Republic today the same propaganda tricks are used. The conference had been organized in very short time and made possible thanks to the Czech practical competence and the efforts by Austrian Social forum to mobilizes funds from different places for the CEE participation. The reason for the fast preparations was that it was necessary to have som impact on the mobilization towards ESF in Istanbul in July. 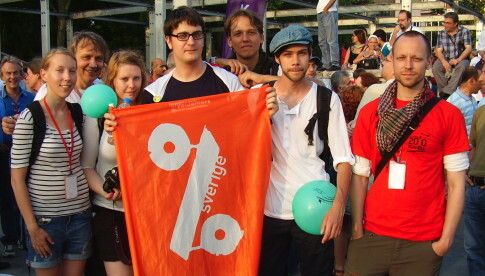 On the final day the European Social Forum mobilization was also addressed. 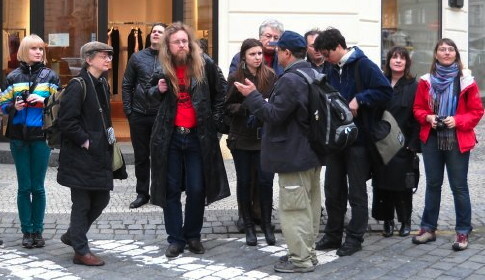 After the conference is over Mirek Prokes takes us on a guided tour to the centre of Prague. He is at his best. Every step you take in Prague he has already been taken. 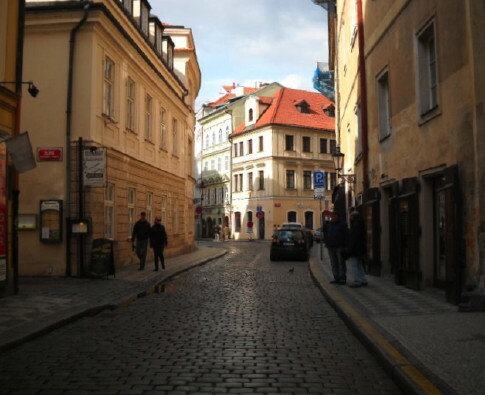 To us normal persons the old city centre seems impermeable with huge blocks and endless small streets ending nowhere. Prokes just goes straight through them in any direction, through narrow nooks dwindling through houses with bazaar style shops along the way or suddenly running into modern buildings in the midst of the medieval town filled with shop signs only in English, or to be more precise American. Languages is of no problem to Prokes. He is an officially approved guide in five languages. When we meet at international conferences it is a relief as we can speak Swedish to each other. With all the Russian visitors he is at home as well. He can take you to any kind of traces of history. All the fascinating architectural traces you could not imagine existed as cubistic houses and all the old proud Jugend buildings from a hundred years ago of a nation knowing it is on the way to become independent and the endless rows of medieval houses from almost a thousand year. In 1638 the Swedish army entered the Czech region. There were then 3 million inhabitants. When the Swedish army left there were 800 000, 2/3 of the villages and ½ of the towns were destroyed, but Prague was still standing. With Prokes this history is alive. In one second you stand in front of a statue of a Prague student that once defended the city on the Charles bridge right were we had the conference venue the against the Swedes in 1648 ushering in the Westphalian peace treaty and the present interstate world system, in the next you stand in front of the ugliest modern shoe box building in Prague erected by a modern Swedish transnational corporation to promote consumerism maybe ushering in yet another new world order. When I visited the other side of the river which the Swedes never were able to conquer I came to a park on the slopes of the Moldau below the castle protecting the city. The kind of warm gentle atmosphere between people was in the springtime air. Very few were sitting alone, not even two alone. Mostly there were groups of three or more often some seven eight people having a good time. If there was a radio on, the sound was often drowned by the laughter and noise from the group who be chance had a radio with them as well. None seemed to isolate themselves behind their individual music taste with the help of music hand sets, or that was maybe a dream. But maybe capitalist consumerism still can be defeated and replaced by a culture that brings more individualism and collective solidarity making our senses feel better than in the present model of commodification of our bodies and nature. High above the people in the park a proud flag can be seen at the horizon between the castle and a church. It is huge and the only flag I saw in Prague. It has stars and stripes and is placed on the US embassy at the top of the slope. Down inte the city centre Mirek can show us the place named after Jan Palach that committed political suicide in 1969 to awaken the nation against the Soviet occupation. 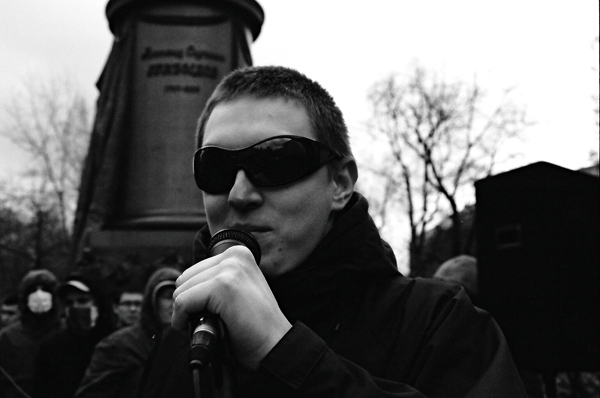 Mirek than was leading the protests against the communist regime. Today Mirek is a member of the Communist party. He is one among the youngest. Most members are 8o years from the generation that was fighting against fascism. They do not go out on the street anymore to stop fascists. The communist youth organization exist but has few members,. It was made illegal during some years and only lately permitted to exist again. Mirek is also a member of Friends of Nature, an environmental organization set up by the workers movement in the 19th century to give He is also a member of UNITED, the European network against racism. 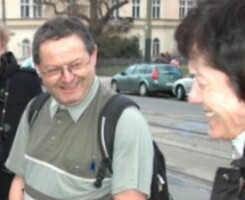 He is also the main organizer of the Czech Social Forum since many years. In most organizations he seems to be the last man standing. 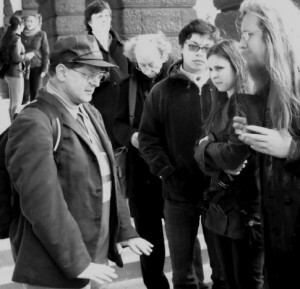 And yet, compared to last time I visited Prague on a mobilization tour for the European Social in Malmö 2008 there is a new vigour in the Czech Social Forum and many new young faces. They all say they are very few but they are many times more than last time. Mirek seldom states his political opinion very frankly. But this year he told me that the Czech social forum was put off the list of extremist organizations that was controlled by the security police, I guess we are not a threat to anyone anymore he said. When the issue of how CEE countries are treated in the ESF process was brought up and the argument was put forward that a preparatory programme mneeting had to be held in Brussels as a meeting in a CEE country could get problems with getting copies of conference material made Mirek upset. So he gets when programme for the ESF is so late that it becomes more or less impossible to organize translation at the forum to smaller languages. His democratic engagement is deeply rooted. 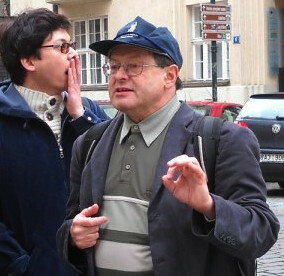 When differences of opinion occurred regarding the name of the new network set up in Prague Mirek made one of his few but typical interventions. Judith Dellheim from Germany proposed that the name should be open calling it the Prague spring network commemorating the time in history when democratic socialism seemed a possibility. The effective Austrians promoted a name only focusing on opposition towards right wing extremism. Mirek suggested Prague Spring II All –European network against right wing extremism. May he get many followers on that slope on the Moldau river and everywhere else in the world were people are fighting for alternatives, social justice, against authoritarian regimes, for bike paths, against racism, overcoming of all language barriers and a Prague spring for ever. We call upon the whole European and World Social Forum movement and all concerned about the environment and stopping repression to support our friends in Russia. Take action on 17-20 September in solidarity with arrested, maltreated and oppressed activists. Follow the call made from Russia enclosed below and go and make protests at the Russian embassies or other places representing Russia. 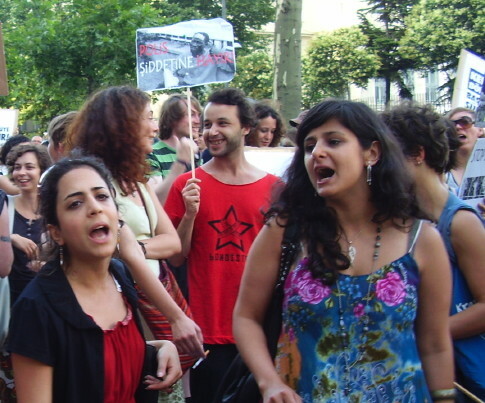 Among activists under threat are people that have been participating in the social forum movement and the European Social Forum in Istanbul 2010. In a similar or even broader historical unification of movements as in the social forum process Russian civil society and political actors have worked together in defence of the Khimki forest and to stop political repression against protesters. Environmentalists, human rights activists, journalists fighting corruption, Anarchists and other antifascists, alter globalization movement, Liberal, Communist and Left wing parties have courageously been struggling in solidarity with each other in spite of different ideological positions and views on tactics. This has resulted in a historical victory when president Medvedev decided to halt the construction of a high way through the forest. But at the same time the witch hunt against antifascist activists is continued. Solidarity with the activists is the only way to both stop repression and to save the Khimki forest more permanently. Please join the action called for by our Russian friends! You find information and the call for action September 17-20 in many languages at www.khimkibattle.org. Friends of the Earth Sweden August 27: The Khimki forest is saved – Now save the activists! How shall we best support the trade union initiative for an international action on 29th of September? 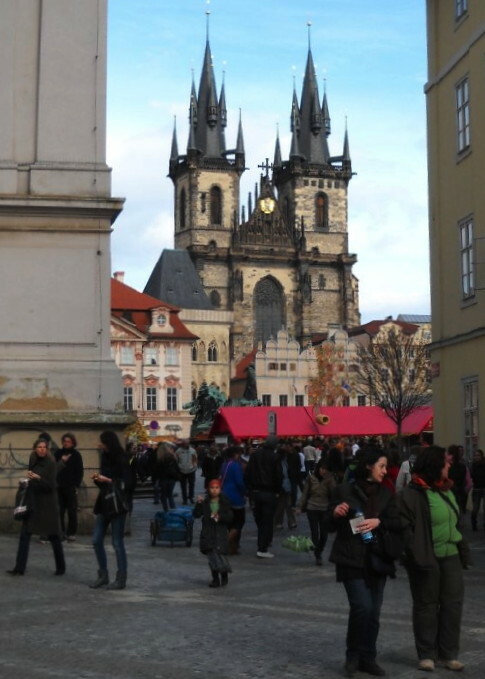 A discussion has emerged in the ESF Prague Spring II network were two alternatives for a call have been put forward. The decision is to merge the two. There are some problems in merging the two proposals. Both are relevant and address the crisis and what to do to go forward. But partly they are contradictory. Both also at least in their will to promote solutions address social and ecological concerns. Both are also of interest for the future of ESF. The original proposal was written by Matyas Benyik (Attac Hungary) and Tord Björk (EU Committee – Friends of the Earth Sweden) commissioned by the Skype chat meeting. In the following text I will call this proposal the first proposal. The added call was written by Elisabeth Gauthier (Transform! 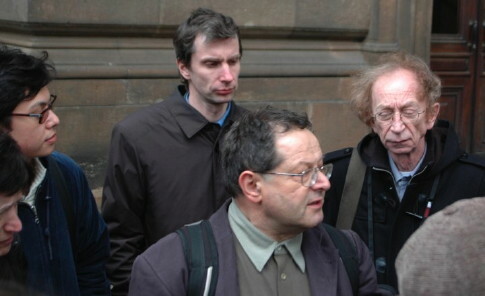 European network), Frédéric Viale (Group Europe – Attac France), Louis Weber (Espaces Marx – France). It was issued in April 2010 originally for other purposes. In the following text I will call this the French text. It is seldom there is a chance to discuss the general strategy of how different movements in Europe best can unite their efforts against the crisis. A general political discussion on strategic differences in the way we see the future of ESF is at times also missing. As both issues now are put on the agenda a discussion on the differences between the two texts on how to solve the crisis might be of wider interest. This is why I send my critical remarks to a broader ESF constituency. The first proposal for a call made by Benyik and Björk was titled Call to Action against the Crisis. You find the text at the bottom of this blog post. The first proposal is confronting the ETUC 29 September call for ”growth” by claiming that we instead should “stopping the rich from accumulating a larger and larger part of the wealth in society”. The main call of the French text to merge with is a call against the banks: “It is time the governments of the European Union stopped the plundering of their population by the banks!”. The main political focus in the first proposal is on uniting all social movements across all of Europe. Whether this is local, national, within EU or in all of Europe simultanously on Iceland and in Turkey, outside EU or in countries inside EU they are equally important. The political focus in the French text is criticizing leadership and safeguarding EU as an institution: ”The attitude of the principal political leaders renewing the legitimacy of the Stability Pact … and of the Lisbon strategy is totally irresponsible and endangers the very existance of the euro and the E.U.” The struggle should focus on EU policies and the alternative is presented as supporting “A ’nationalisation’ of problems” which ”can only give more weight to nationalist trends, to Right wing, populist and extremist forces already present in Europe and to splits between North and South, East and West of the continent.” This ideology giving countries and movements in Europe outside EU the only role of being subaltern to the struggle within EU because this is the only way to avoid split between East and West in Europe is a political contradiction. It is of course not fair to compare the two texts without acknowledging that they have been written under different conditions and for different purposes. The first proposal had to be only one page long, the French text focus upon one policy field and is valuable on its own merits for this purpose. But both contain also overlapping more general analysis and proposals which can be compared as done above. Both are addressing the crisis in the same region in the world and use some common language. 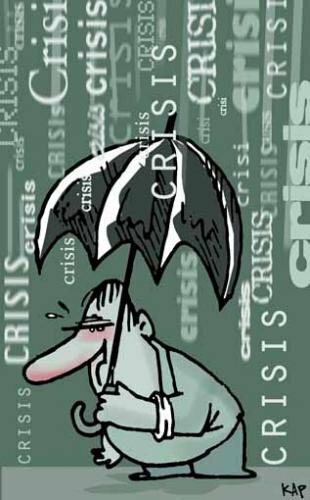 Concerning the crisis the first propsal is addressing the multidimensional crisis, ” The whole world has been hit by a severe financial, economic and ecological crisis.” The second proposal is addressing ”the crisis” but in practice this is described as a crisis of the financial markets. Both see neoliberalims as the cause of the crisis, while the second focus upon the concept financialized capitalism. 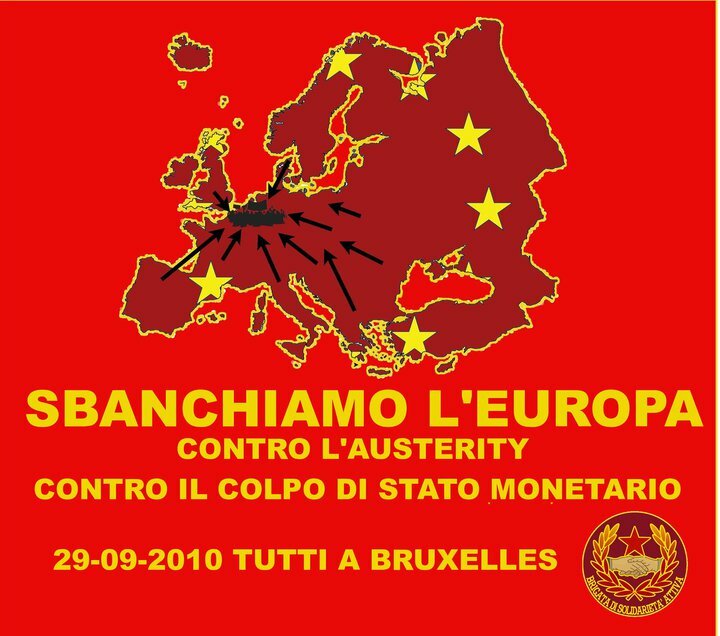 The solution in the French text is EU policies to control the banks and the financial markets. ” The governments must break with the principle “The State assumes the debts, the people tighten their belts and the profits go to the financial sector”. It must be possible to find solutions with other principles and logics.” Included is also a more detailed list how EU can control the European bank etc. The solution in the first proposal is to unite peoples movements in struggling for ”creating jobs and serving common needs”. And more specifically: ”Solutions can be found by simultanously addressing the social and environmental needs. We should elaborate constructive programs for a transition of our societies towards social and environmental justice protecting and develop our commons.” The first proposal thus has more focus on constructive solutions and integrating social and ecological concerns. It calls for confronting the accumulation of wealth among the rich rather than calling for new EU policies. I also calls for struggles beyond the market and the state by safeguarding and develop commons, which can be both public services which are protected at the municipal or national level but also be organized outside state control and market mechanisms. The French text has elaborated EU policy proposals but when it comes to finding other solutions it ends with a mere vague statement that it must be possible to find them. In relationship with the ETUC 29th of September call for jobs and growth the call for EU policies to control the banks is complementary. 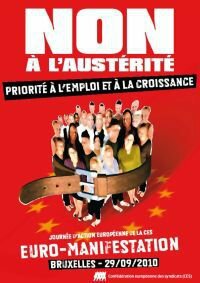 Neither the ETUC call nor the French text calling for Bank control is putting the core of the present system in question neither in form or content. The ETUC call for mass actions on a Wednesday is a contradiction and an offence against the people suffering all over Europe in the hands of those in power. A work day is not a day for united mass protest. The ideological content is even worse. To call for growth is to legitimize the present ruling order and shows a total lack of interest in addressing the causes of the crisis by acknowledging the social conflict instead of postponing the issue of power struggle between capital owners and wage earners into a future and replacing this conflict with false promises for growth. The bank control statement is focused upon creating a new EU leadership by getting people to address the problems of a specific kind of capitalism, so called financialized captialism, as if financialized capitalism can be separated from capitalism. The role of the masses is equally diffuse as in the ETUC call. This state-centric policy appeal works very well as a marginal addition to the ETUC call without questioning the core of this appeal in any way. The first proposal is confronting the basis of the ETUC call by replacing the call for growth with a call for action against the rich accumulating ever growing larger part of wealth. This is a class struggle issue rather than EU policy struggle. It can be carried out on many levels, both social and political, local, national and international or translocal/transnational. The first proposal also differs radically from both the ETUC call and the French text in its way of addressing the ecological issue. The ETUC call is a simple attack on the growing environmental concerns that puts social justice and questioning of the present development model whether it is capitalistic or planned economy focusing on economic growth. Instead of building an alliance with global peoples movements now confronting the present system and demanding constructive programs to solve the social and environmental crisis like trade unions in the South and a few in the North, Via Campesina, Friends of the Earth and the climate justice movement ETUC choice is the devastating social partnership ideology more and more turned into religion which is a threat against wage earner interests in Europe and against the future of our planet. The first proposal is coherently addressing both social and ecological concerns in its analysis of the crisis and the negative effects of present politics and in putting forward solutions. Rather than a specific growth or degrowth ideology there is a call for united constructive efforts by peoples movements linking evironmental and social justice concerns. This is directly in opposition to the growth oriented solution presented by ETUC and also the way the French text address the environmental issue. In the Bank control text the environmental crisis is not part of the causes of the problems but comes in as something the states have lost the ability to address as ” they have restored the power of the financial markets by abandoning the idea of regulating them”. This have blocked the possibility of ”developing socially and ecologically useful forms of production, research and services”. The direction here is the same as in the first proposal but the cause is not lack of uniting social interests but to get the EU states to regulate the banks again as before. One wonders how in the first place it comes that the states deregulated the banks. More of a problem is the ideology presented as solution to the environmental cirisis in the French text: ”The E.U. and its member states must act in a united manner at continental and planet-wide levels in favour of a new kind of ecologically sustainable development.” This is a an appraisal of the ideology behind the global neoliberal ideology which was launched at the United Nation Conference on Environment and development in Rio de Janeiro in 1992. The definition of sustainbale development by the Brundtland report that underpinned the Rio conference and have had a hegemonical position ever since in the sustainable development policy discussions is that sustainable devlopment is achieved through two ways. The first is sustainable growth. The second is to acknowledge that everyone have caused environmental problems and that we now all together have to solve them. This ideology became the basis for a global NGO system and dismantling of mass movements focused on conflicts whether in class struggles or class alliances against the exploiters in ecological struggles. This NGO system focused on win-win solutions and so called stake holder dialogues became a model not only for environmental issues but also social with a brake through at the Social summit in Copenhagen 1995. The ETUC social partnership ideology is one of the roots of this model and shares the growth ideology avoiding addressing social conflicts here and now with the sustainable development concept. There has been some confusion regarding the sustaionable development concept as many NGOs preferred to quote a less specific and more meaningless definition promoted by the Brundtland Commission as this defintion made it possible for many to avoid the conflictual and social side of the environmental crisis. But today the concept is mainly used by organisations as EU, corporations and main stream NGOs without a democratic or active membership to claim a false image of being ecologically conscious. Todays envrionmental movement talks about just transition as at ESF in Istanbul or sustainable societies, not sustainable development. It is a pity that the sustainable development concept is put into a text that for the rest has many better qualities and is more up to date. There are a number of good specific policy proposals in the French text. But how they could be integrated in a call from the ESF Prague Spring II network call with the condition set that the text should not be more than one page is not easy to see. Under all circumstances is there no possibility of merging the two texts on some principle that they are equally important. On the main strategic issues they are contradictory and it is necessary to make a poliical choice. These contradictions can hopefully be solved in an open manner. They are to a large extent contradictions that have followed the ESF process from the start. The lack of integrating the ecological and rural dimensions has been a weakness and is here once more explicit. Another is between acting simultainously at local, national or European level in a political similar direction but not necessarily promoting the same policy and the EU policy orientation. This has shown itself in a conflict between on the one side many Central and Eastern European as well as Nordic movements in the marginal and movements in the EU core states. The hegemonic position of the movements in the EU core states has been challenged by the growing concern for an All European ESF process expressed by the establishment of an All-European mobilization committee and the ESF Prague Spring II network established at a meeting in Prague in March 2010 titled Right wing extremism in a time of social and environmental crisis. It might be no coincidence that contradictions at the core of the ESF process is brought to the forefront by the efforts of the very small and yet broad and different constituency of mainly those in the periphery of the political concerns of the hithertho dominating ESF forces. Whether the contradictions can be solved we will see. But it is hard to see that the ESF process can be fruitful in the future without integrating on equal level the ecological and social concerns. It is clear that the first proposal is ecclectic and lacks a strong support from a well organized movement as well as institutions. Eccleticism is at times a weakness of those lacking resources. The second can fall back on a well formulated parliamentary vision of politics. The first proposal is going beyond this parliamentary limitation and can even be seen a class struggle oriented as well as confronting the whole present development model including attempting at uniting all movements instead of fragmenting them into separate policy fields. While the French text is explicitly reformistic the first proposal is focusing on uniting struggles going beyond the division not only on issues but also in reformist and revolutionary divisions. As the tradition within the left is to split these to strategies there is little support from the vested interest in left wing groups to allow for going beyond this division or even recognize that it can exist such a possbility, at least when it is put forward outside the context of established left wing organisations and academic discourse. So the possibility to have some influence with a text like the first proposal is limited. ETUC and parliamentarian left wing EU policy strategies have some more at least financial backing. The future will tell what way ESF and the peoples movements in Europe will follow. The whole world has been hit by a severe financial, economic and ecological crisis. Globally is the region most severly hit Central and Eastern Europe. But all over Europe from Latvia to Iceland, Russia to Romania and Greece to Spain we can see social and ecological problems growing and we are sure that the worst of them are still to come. Today’s crises are systemic ones driven by the neoliberal ideology that have sold out long-term investment, jobs, wages, the environment and the general well-being of the planet and its people for the benefit of a few. To challenge these policies it is an urgent need to build an European wide struggle, which brings together social movements, workers, peasants, women, youth, environmental and others organized in associations, trade unions or networks of different kinds. Solutions can be found by simultanously addressing the social and envrionmental needs. We should elaborate constructive programs for a transition of our societies towards social and environmental justice protecting and develop our commons. We call upon all peoples movements in Europe to act against the crises and struggle for solutions that give jobs and make the rich pay. What we need is a massive mobilisation across all of Europe on the 29th of September 2010. We have held this ESF in the framework of the crisis. There were a lot of seminars and workshops focusing on this. All seminars have brought similarities and differences. What is clear is that we want to work together and go further together without letting anybody destroying the wish of networking mobilizations all around Europe. In the context of a global crisis and faced with the EU, the governments and the IMF offensive to impose austerity and social regression policies, the social movements which have gathered in the ESF in Istanbul issue a call to act together in Europe. Mobilisations and resistance movements are developing across Europe to challenge these policies. It is urgent to build, on the long term, a convergent struggle in Europe, which brings together social movements, trade unions, associations, organisations, and citizen networks. This is why we issue a call for a first step on the way to developing mobilisation across Europe, on the 29th of September and the surrounding days. We must impose alternative policies, which enable us to fulfil social needs and ecological requirements. All social movements call for a European assembly on the 23-24th of October (or 13-14th of November) in Paris to further our mobilisation and the coordination of our movements and also to make valuation and discuss the future of the ESF. We, the people involved in the initiatives of the antirepression network believe that the repression issue will be of much bigger importance in the near future because of the crisis and the social struggles emerging from this crisis. Intensify and special measures will be taken against those who right for their rights, their social security and diversity. Despite our different political opinions we call on the release of all the political prisoners, the closure of the black lists and any other measure of the global war against terror. We claim to shut down all the migrants’ detention camps and any kind of guantanamos. We from climate and social justice movements who gathered at the European Social Forum in Istanbul call for system change not climate change for a just transition towards a good life for all. Social and ecological justice, do not contradict each other. They are and have to be complementary. We are calling for a just transition in the way we work, in the structures of production and consumption. We need to expand community-controlled renewable energies, food sovereignty as well as public services. This would create millions of socially and ecologically useful jobs. We in Europe are only now starting on the road towards climate justice, creating and resisting in many different ways, such as direct action, the building of local alternatives, civil disobedience or public campaigning to name a few. We call upon social movements, trade unions and civil society in Europe to engage in the struggle for a good life for all. We want to use the 29th of September, a day of demonstration and trade union actions across every country of Europe and the surrounding dates, to extend the mobilization and to act together in Europe on our platform. During this period, from the end of September to the beginning October, we call for mobilizations, strikes, demonstrations and actions all around Europe to reaffirm the right to free public education for everybody and to defend and increase workers and unions rights on the basis of our platform. The war and peace assembly denounces that at a time of economic crisis, European states are increasing their military budgets and trade of weapons. The European Union is not the “soft power” it meant to be. To protect peace and social needs, we call peace and antiwar movements to join the trade unions protest on the 29th of September and the Week of Action against the NATO summit of 15-21 November 2010 in Lisbon. We call for an immediate end of the war in Afghanistan and we will mobilize for the tragic anniversary of the invasion on October 8-9. The assembly strongly supports the mobilization of Kurdish and Turkish movements for a peaceful and democratic solution of the Kurdish issue, and endorses the Palestinian civil society call for a campaign of boycott, divestment and sanctions (BDS) against Israel until it complies with Palestinian rights based on international law. There is no military way out of these conflict. We support the demilitarization of Cyprus, the whole Caucasus and we stand in solidarity with the Iraqi civil society that is struggling to protect its people. All these causes and campaigns will be celebrated in the International Day of Peace, 21 September, and in the Thematic Social Forum for a Culture of Peace in Santiago de Compostela on 9-12 December. With regard to the upcoming European mobilisations it was said that it is preferable to develop simultaneous activities against crises, poverty, unemployment in many countries during the time of the big demonstration on 29th September in Brussels. The slogan ”Human beings are more important than banks” was suggested as well as the integration of our struggle against racism and xenophobia. The open All-European Mobilizing Committee should support the co-operation and participation of CEE movements for the next EPAs and ESF, based upon the good experience with frequent Skype conferences. The open-esf website should be renewed and continued with a better balanced participation of women and of CEE movements. 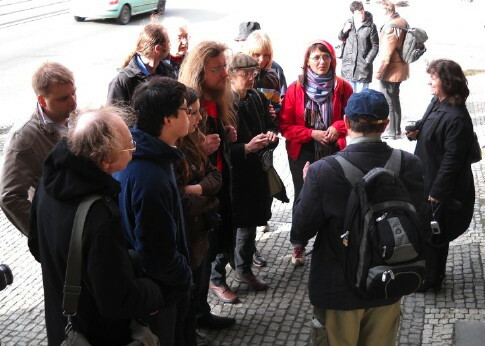 Everyone is invited to participate in the network “Prague Spring II” and to integrate other issues into its work, e.g. women’s issues, sustainability or social issues. The next ESF should take place either in a CEE country or in one of the neighbouring countries like Austria. After the total failure of the Turkish organizers to facilitate and support the participation of social and environmental movements from Central and Eastern Europe (CEE), this participation and this assembly were only enabled thanks to generous short notice donations of the World Social Forum Expansion Commission “Rosa Luxemburg Foundation”, the European leftist network transform!, members of the European Parliament from the GUE/NGL faction as well as members of the German Federal Parliament from Die Linke (The Left). Tord Björk: We have to address the crisis in CEE jointly. Lot of big and rich WE organisations are reluctant to work together or even to help because they feel themselves superior. In fact, some little movements in CEE function better than big Western European organisations or TUs despite their own very bad political, legal and economic conditions and very limited financial and human resources in CEE countries. Said Gafurov: Social movements and SF in Russia are no more marginalized, they become appropriate media attention, thanks to the help of some people from WSF and ESF. However, there is a lack of information what is happening in other CEE countries. Françoise: E.g. women in Poland have lost their rights, like the right for abortion. Leo Gabriel informed about the establishment of the “Prague Spring II – all-European network against right-wing extremism and populism” and recommended to make use of its resources and possibilities and to develop it jointly as an information hub between the East and the West. a) To distribute information as much as possible and on different levels: website and lobbying of left and liberal mass media. b) Alexander Buzgalin from Russia proposed to organize a conference under an ultimate condition: those CEE groups who are not able to work together will not be granted any financial support from Western donor foundations. c) To integrate into the existing structure of the network on RWE a discussion on fundamental questions in education, health and gender. d) To create a method of exchanging opinions and research results on solutions of the crisis. f) Invitation for a conference in Kiev on Climate change in September and against RWE in St.Petersburg on the 3rd November 2010.
g) Follow up of the seminars on Free Trade, Feminism and the Lisbon Treaty held at 5th ESF. 1. With regard to the upcoming European mobilisations it was said that it is preferable to develop simultaneous activities against crises, poverty, unemployment in many countries during the time of the big demonstration on 29th September in Brussels. The slogan ”Human beings are more important than banks” was suggested as well as the integration of our struggle against racism and xenophobia. 3. The open-esf website should be renewed and continued with a better balanced participation of women and of CEE movements. 4. 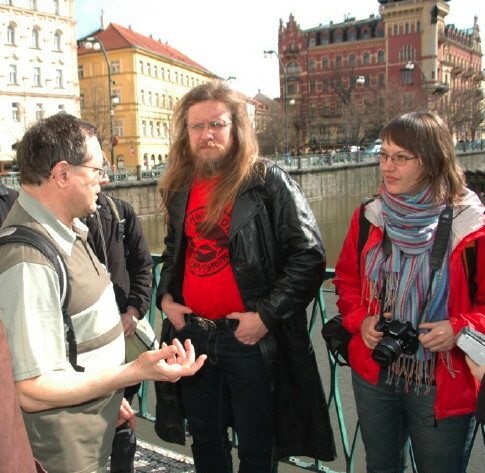 Everyone is invited to participate in the network “Prague Spring II” and to integrate other issues into its work, e.g. women’s issues, sustainability or social issues. 5. The next ESF should take place either in a CEE country or in one of the neighbouring countries like Austria. 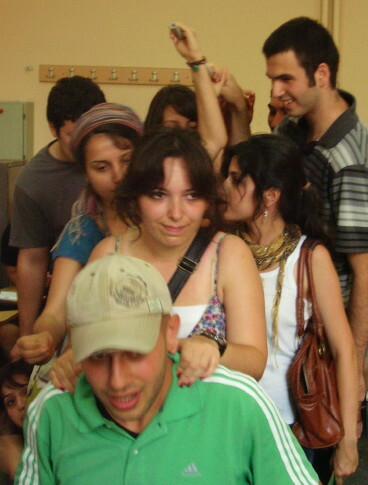 The European Social Forum in Istanbul 2010 was fun. As the practical capacity has weakened as shown during the ESF in Malmo 2008 and even more so in Istanbul 2010 there is no host organizer or European Preparatory Assemblies able to provide political direction or a market place of interest to NGOs. The old leadership building its strength on a costly model for participating in the preparatory process have lost its appeal and there is no alternatives in sight. 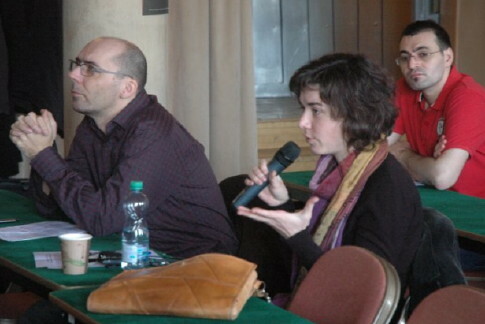 In this situation of uncertainty there is space for experience exchange on agricultural farming in the Mediterranean, initiatives against the repression of climate justice organizers or establishing systematic knowledge of the consequences of the crisis in Central and Eastern European in a way that can influence the total outcome of ESF in spite of being in the periphery. There has always been space at ESF for a myriad of activities, the difference now is that there is a loss of one hegemonic mainly Western European radical mainstream left wing predicable outcome. 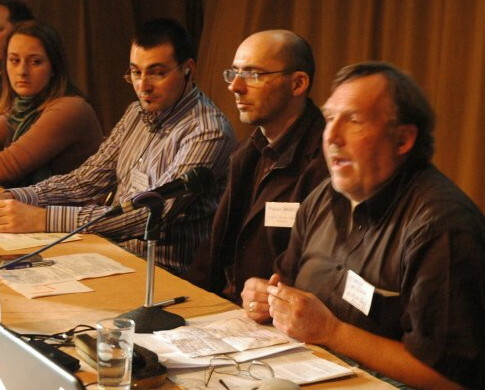 ESF 2010 began with a seminar on the future of ESF. There were 3 speakers introducing the subject and 15 making interventions, in total 18. Out of these speakers 2 came from Central and Easterna Europe including Turkey, one from Russia and one from Mesopotamian Social Forum, 16 from the West. One was young, the rest were old, mainly 50 years and above. 4 women were speaking. 6 of the contributors to the debate came from France, 2 from Italy and Belgium and 1 each from Austria, Germany, Greece, Norway, Spain, Sweden, and the two Eastern countries already mentioned. Many were left wing trade unionists including the two introductory speakers from the West saying things which everyone could agree to as there is a crisis in Europe not only for the society but also for the social movements. The speaker from Mesopotamian Social Forum included the ecological crisis but was fairly alone. Among the audience there was none from rural or peasants movements and maybe 4 out of 80 environmentalists. Among the more odd left wing syndicalist analysis of ESF was the point made that small NGOs at ESF with lobbying as their main poliical tool was a problem. Such organizations have become very rare in the process at least since ESF in Malmo. More important was the notion that there is a need for more general debate on the linkage between different issues, a proposal made by Via Campesina ahead of ESF 2008 and then rejected by a French trade unionist but now when it is put forward by trade unionists might be excepted. The class, gender and ethnic conscious methodology of the two recent successful US Social Forums was rigthly promoted by several speakers as inspiring and one of few challenges for the ESF future put forward which was concrete although limited to form. Instead of a lively political reference to a common platform as the World Social Forum declaration or addressing the problems in the region were the global financial crisis is hitting harder then anywhere else in the world which is in Central and Eastern Europe the reference is instead ”the left” and Western European problems which should be addressed at ”the European level”. What this omnipresent term left is or how this European level looks like is not very well defined. Except by the only young voice in the debate coming from Germany and the trotskyist 5th International. 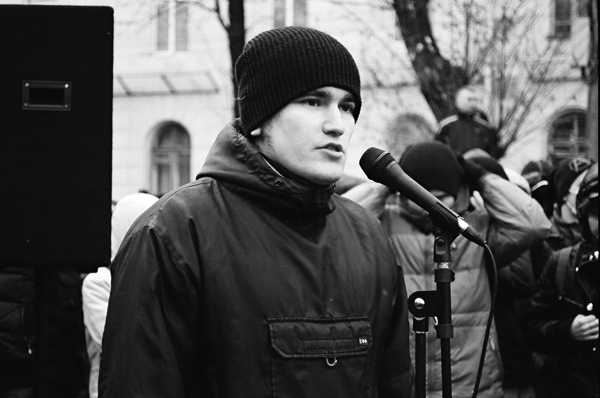 This international organization is extremely small and specialized in producing youth activist speeches proclaiming the same solution to every problem, mass mobilization at the European level on whatever opportunistic left wing issue that seems of current interest for the moment, a mass mobilization that should be carried out by others, mainly trade unions. Others at this debate on the future have not much more to offer for the role of ESF than being this left wing support to convince big trade unions to act although using another language. Struggling collectively for better and cheap or free public transport was one of the answers on the problems of cars dominating the cities and causing environmental problems. And what a struggle. Students from Istanbul showed us at a seminar and asked us all to join. It was a street theatre they performed to make people aware of the problems for students with longer and longer travels by buses they cannot afford. It all started with an explanation of the situation for students in Turkey and the daily struggle to get to the university. In a corner the music started and suddenly were we all encompassed by the atmosphere of lively streets, moving bodies and the daily controversaries to get on board on the bus. Four green banners demarked the inside and outside of the bus, a driver stopped the students from entering whenever there was something missing, and there was often something missing. But the collective helped and argued and somehow it seamed as if the male bus driver always lost the battle against the mostly female students. Chanting, singing and arguing the student collective and their driver moved on and we all were moved, by the energy of the political statement, the music and the laughs and the joy. In the next room the Russian Institute of Law had a seminar on right wing extremism. The daily struggle was as present here, in an even more physical form. First they came and beat us with the fists and we had to learn how to fight with fists to. Then they came after us with knives and we had to learn to use knives to. Now they come with pistols, first using rubber bullets and them live ammunition. The leader of the Institute of Law was shot down and killed together with a young journalist right on the doorsteps in the middle of Moscow one and a half year ago. Both participated at ESF in Malmö and were involved in exposing Russian crimes in Chechenya. The immediate threat of violence is not only present when the young antifascists speaks, Anarchists rather than Communists or Social democrats. 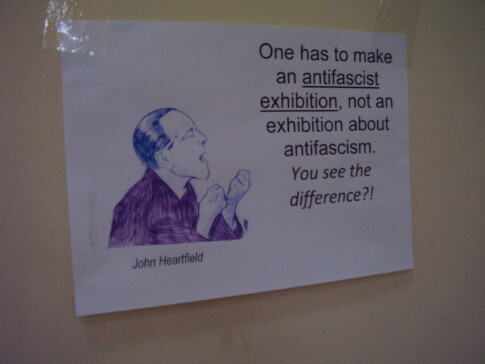 It is also very present in an exhibition made by a young artist on antifascism. Here violence is also very present, and the need to fight back. The rebellion in the Sobibor extincition camp in 1943 is a starting point in this presentation of anti-fascism. Some 300 death camp prisoners rebelled under the leadership of the Communist Aleksander Pechersky. One of very few rebellions in the death camps and the most successful. Most of the escapees were hunted down by the Germans and their Ukrainian helpers but more than 50 made it conquering freedom. In total between 150,000 and 250,000 jews losts their lives in Sobibor, 50 survived the war. In the exhibition is also the 150,000 volunteer partisans mobilized to defend Moscow from the enclosing German troops presented as an example. Ulriche Meinhof is also presented as an example of how the children of the Nazis generation rebelled in Germany. But the main focus is on today’s antifascism. The Russian antifascists that get killed, people willing to fight back. 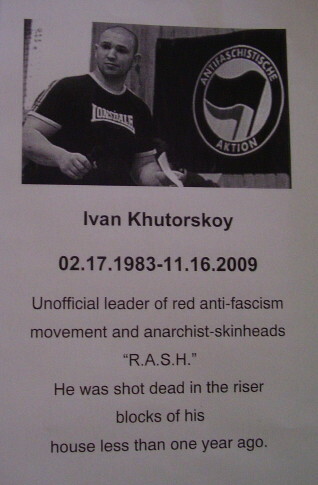 The statistics is also there, being an antifascist in Russia is risky. The exhibition ends with a statement on sorrow and pain. 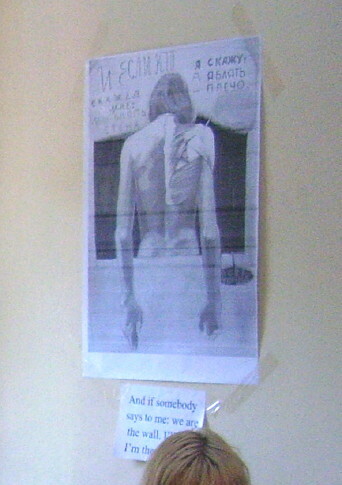 The picture that the organizers liked the most was a a human being with the back against the viewer and the muscles without skin upon one of the shoulders with the message under: ”And if somebody says to me: we are the wall. I’ll say I am the shoulder. The official image in Western Europe of Russia is that it is fixed to the history of World War II as the result of manipulation by the authoritarian government. The maker of the antifascist exhibition cannot be accused of hoping for the Russian or any government to come and help people. It is up to ourselves also in the worst conditions. And in spite of this perspective far from giving up in front of authorities the theme is partly the same as that promoted by official Russia, the efforts made to stop fascism during World War II. But with another focus that both governments and their allies in media industry have in both Russia and the West. That of activists willing to fight voluntarily, often young activists and often if not totally left out in the history making especially in the West. Millions are spent on how horrible the Nazi death camps and war was, but what do we know about the most successful violent revolt in the death camps? The antifascist story does also not end there. It continious until today when the struggle is also a question of life and death. 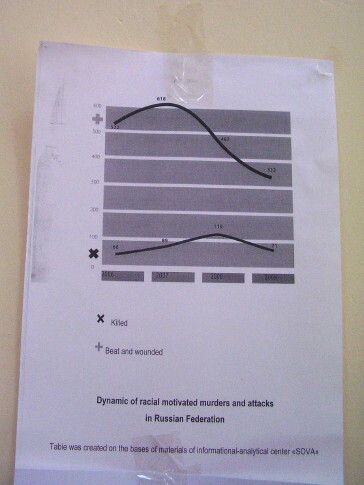 Statistics on number of people killed and injured by fascists in Russia the last years. One of the criticism against the Istanbul ESF states: ”For us the greatest criticism of this forum was its failure to provide non-hierarchical, participative, polycentric spaces in the meetings themselves. With notable exceptions, every seminar or workshop (there seemed little difference between the formats) was conducted in the same way: the ‘experts’ sat at the front, the floor listened to them reciting what they already knew. This series of laborious, monotonous monologues would come to an end, after two and a half hours, to allow for ‘questions’ – and a further 30 minutes of non-sequiturs. Even when direct questions were asked, the sessions were so poorly facilitated that those asked the questions were rarely given the opportunity to answer. All this made engaging and productive dialogue a practical impossibility”. (From Red Pepper, link se below). Many of the environmental workshops and seminars were also vital with many young participants, a lot of experience exchange and young leadership of the political merging process towards a common statement on just transition to solve the climate crisis. The seminar on sustainable transition lost most of the speakers due to misunderstandings and that it was taken out of the Turksih version of the programme. The hieraric way the room and furniture was arranged did not encourage much vital discussions either. But these disadvantages was turned into its opposite. Among the participants there was a lot of experience from both small farmers, trade unions, and environmental activism to turn the seminar into inspiring each other while finding ways to address ways to strengthen direct producers in agriculture and industry as well as building new ways of direct relationships between producers and consumers promoting both sustainable agriculture, food sovereignty and more power to direct producers and consumers. The strength of ESF showed itself when an open drafting committee met to discuss the formulation of a climate justice statement from the seminars to be presented at the final Assembly of Social Movements. At such occassions one have to count on very different backgrounds of the drafters, very limited time with few of any more chances to meet, practical problems of finding a place to meet, write a draft, copy and distribute it. The climate justice movement have been bogged down after the successful mass actvities in Copenhagen during the climate summit in a lack of making a difference between defensive and more forward looking strategies. The movement have to a large extent avoided combining a system critical direct action resistance with a broad appeal for sustainable transition addressing questions of interest for people in their daily life. In this way the movement have been caught in either demanding every action and alternative programme to be equally radical and denouncing every bit of defensive actions within the present system as least say the UN negotiations or issues of interest to main stream trade unions as green jobs or environmental NGO pragmatism losing the system critical goal out of sight. Instead of struggle ideology has a tendency to become the most important, to some anarchists the question of work has been seen as adjusting to the system and instead of a constructive program that can give jobs to many access to resources has been seen as the only demand that the movement should put forward. Other see clear ideology as the most important step at the moment, be it degrowth or ecosocialism. All these dead end streets were avoided quickly. Degrowth was seen by all from very different backgrounds as an important topic to discuss but not to use to frame the whole statement. Instead the issue of work and social revolutionary perspectives were put forward as most important. The issue of the need for broad social alliances was also something that was not necessary to discuss. Within the ESF frame work what can take time in other situations is immediately avoided here as cooperation between social movement is at at the core of ESFand thus a starting point for discussion, not a point to get bogged down by. All reports from different seminars also pointed in the same direction, there is a need for both strong resistance and alternatives. Thus contrary to many other arenas ESF was very useful for finding common system crtitical common ground without getting trapped in one or another mainly ideological main point. The resistance against the main proposed outcome of the ESF Assembly of Social Movements, a call out for participating in the mobilization on the 29th of September against poverty was also clear and yet not secatarian. The slogan made by the European Trade Union Confederation for this event is to demand jobs and growth, soemthing that is contrary to the social-ecological concerns of the climate justice movement. The point was made hilw at the same time the main focus is on establishing own actions in October for System change – not climate change and hopefully influence also other social movements to become more ecologically conscious while promoting a just transition for both rural and urban areas which cannot only solve the climate cirisis but also be a tooo for social justice and thus provide a much needed alternative vision for the future of Europe. There were of course a lot more young undercurrents. To my surprise the Swedish delegation was dominated by many young people interested in environmental, urban agriculture movemnts, trade union issues and the financial crisis. One aspect was that some of the present young researchers were involved in finding out more about agriculture and the situation for the rural population. This young and often female intellectual energy going into issues of less interest to young actvists in earlier times is an interesting phenomena. More predictable was that the visible and vocal youth presence came from small left wing radical groups which is not so much an undercurrent but part of the old ESF pattern. But it is of special interest when it reflects new mass mobilizations as that among students in many countries. How important are the young undercurrents? Other observers seems not to notice the young new undercurrents that here is described. One can ask how important they actually are. Before more extensive reporting from ESF in Istanbul is accessible, specially from young activists themselves it is of course har to make a good assessment. But some notions can be made. Turkish left wing group not afraid of new global environmental and other issues. To a large degree were young activists in Turkey involved in both social and ecological struggles on water, climate, agriculture and public transport. So those that take notice of young participation seems unaware of the new system critical undercurrents at ESF. To some degree they have always been there and may not have more weight then earlier. Two factors may show that there is a difference and the young undercurrents goes beyond occasional presence in some seminars and other activities at ESF. One is that the strength of agricultural, rural, water, climate and other envrionmental or social ecological issues to much a degree is built on youth participation and have maintained it steps forward after ESF in Malmö. This interestingly in spite of that central actors in Malmö as Friends of the Earth and Via Campesina promoting these issues was much less present at ESF in Istanbul. The other factors is the central role played by open minded Central and Eastern European youth. There were also quite large youth participation from some Western European countries. The difference is two folded. Altough the CEE participants are involved in many different issues as the social and ecological crisis, antifascism or feminism and come from different at times opposing ideological trends they tend to see themselves more as part of a joint alternative movement and furthermore come more collectively organized often brought by some of the social forum cooperation. While some Western youth seems mainly focused on one aspects as the need for a new methodology at ESF or avoiding or letting small left wing groups dominate CEE youth have a more general view integrating both methodological and political concerns while at the same time being more central in the delegations from their countries. They seem also to have less problems with the old ESF leadership from their countries and in some cases like Ucraine be totally dominated by young activists from different strands. Your observer resting for a while at a seminar photographed with his own camera by some anonymous activist interested in complete documentation of ESF. The T-shirt states in Finnish We snowmen against global warming. Under the circumstances of and old left wing and trade unionist leadership in decline and yet still able to make ESF happen according to the ideas of an open space to anyone willing and resourceful enough to make it while new young undercurrents yet has not formed a strong self understanding and presence the conflicts that occured during ESF in Istanbul are to a large degree obscure and short lived though at times disruptive. The visible predictable conflict is between different parts of the left mainly sharing the same urban and trade union bias in loocking at how to move forward while strongly disliking each other. Different trotskyist groups of the smallest kind tries to convince a smaller and smaller number of ESF participants to mass mobilize on an European scale against the social crisis, left wing trade unionists do the same but with less anticapitalist and antiimperailist slogans. The weakness is there for everyone to see. The main outcome at the final Assembly of Social Movement is not to call for a coherent systemcritical mobilization on the issues discussed at ESF with success, but to call for participation in a mobilization called for by ETUC without having an own agenda. In the seminar on how to struggle against right wing extremism a conflict occured that highlights the problems of ESF and the European social movement. Here mainly Central and Eastern Europeans came together but also Western Europeans to discuss and make contributions from different parts of Europe and different perspectives. In the exchange of ideas a young women from Ukrainian Social Forum came to notify the audience about a climate change meeting that will take place in Kiev. It was clear that the audience had very different back ground from strong antifascists struggling daily to defend their lives to more broad campaigning for tolerance against racism or antifascism seen in the light of the social and ecological crisis and possible to put i a wider context. A German journalist and expert representing a trade union made an excellent overview of the European situation. The diverse discussion though annoyed him so much that he angrily had to state why he left before the seminar closed. The discussion in his view had not at all been about what he had come for addressing the struggle against right wing extremism at the European level. The petty national and diverse contributions did not impress upon him. He did represent a trade union with many million members and he had expected a lot higher quality we understood. At the surface he was fully correct. The discussion had been diverse. The problem is simple. In most countries in Europe the number of actvists and resources are so small that an issue as right wing extremism has to be put into context. Whether this is how right wing politics is part of nationalism with neoliberal practice selling out the national naturqal resources to Western capital causing social and ecological problems like in Southern Caucasus, or that right wing politics is the main force behind climate scepticism and denial of environmental concerns. Many in the audience are well aware of that what they say may not be highly relevant immediately to the topic. But they are also aware of the limitations of the movements and countries they come from and fully willing to learn and see if it is possible to connect experience from different countries, get inspire and do something in spite of not being a trade union with millions of membersor being payed for coming with well researched material on the situation at the European level of right wing extremism. Another conflict which I heard about from different sources with very different interpretations seems also interesting and have bearing on the way ESF is heading. Young Turkish activists claimed that rural issues were blocked from becoming important in the Assembly of ecological crisis. The group that especially blocked this Turkish intervention was Anarchists from Germany. The other version was that Turkish activists were unable to understand how their specific national concerns had to put into a wider European level to be of interest in a common statement. In one version the conflict is about disinterest for rural issues, in another version the difference is between more narrow minded national understanding and a more higher European level of thinking. Thus what we have is an old left calling for action at the European level, seemingly opposing each other whether they are main stream trade unionists, left party of some kind or sometimes even anarchists, all from Western Europe. The mindset seems often to be that of either organization with plenty of resources to have experts on European level negotiations and issues or specialized in European rhetoric and little action. On the other hand we have a more lively participation especially from Central and Eastern Europe. Thus a young women from Armenia can get inspired by the concrete experience of repression during the Climate Summit in Copenhagen last year refering to here many arrests by the police herself back home. National and local experience can be part of a vivid international exchange of ideas. Politically what we see is a conflict between periphery and center of Europe. Issues, countries and movement regraded as of less importance for the power positions of the European left are systematically and mainly without intent marginalized. With a hard defensive struggle ahead left wingers and trade unionists cling to each other more and more desperately hoping for that well informed, well organized mass mobilization at the European level meaning under Western European leadership with very little interest of rural or environmental issues. This position in all its forms, from trade unions the left wing parties of all sorts are now disintegrating. New movements like the climate justice movement is no alternative. While the environmental movement with it s long time social justice concerns ir of vital importance for carrying forward a just transition alternative equally important for solving both the ecological and social crisis there are strong deficits. To a large degree the climate justice and environmental movement is a movement without theory with problems of becoming relevant for people in common in their daliy life. The situation is thus more open than ever, and maybe more hopeful for ESF than one could think. The World Social Forums have similar problems but is more vital. It is no coincidence that when Europe failed to support the CEE participatiion substantially it was WSF that in the last minute put forward some resources to enable a larger presence in Istanbul from the region most severely hit by the global financial crisis. 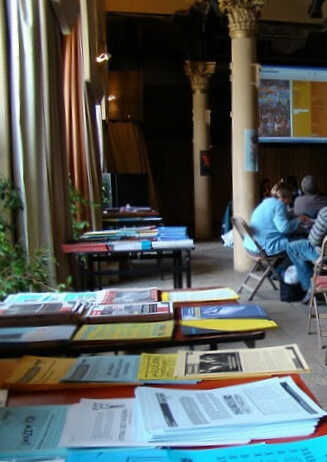 The US Social forum is an excellent example on how the forums can be used for social movement experience exchange and mobilization. The advances with the Mesopatiam Social Forum and other forums in the Maghreb region is also signs that the social forum might have a future also in Europe. Because what is the alternative? Where else is all social movement challenged to participate in a common exchange of experience and assemblies to mobilize. The decline of ESF might therefore be a good sign. To at least social forum organizers in CEE coutries Istanbul showed some strenght. For the first time an All-European Assembly could be arranged at ESF with a balanced participation both from the West and the East. Mirek Prokes from Czech Social Forum was pleased with that 21 countries were present and finally 150 participants came from CEE countries in the last minute in spite of that there were only 60 announced some weeks before. The strong young leadership in the CEE delegations is also a positive sign for the future as well as the ideas to continue follow-up by organizing regional events in the All European process and the Prague Spring II network against right wing extremism. Many at ESF from different strands seams also to agree on the need for avoiding the same old formula hoping for an evermore larger ESF but rather becoming more diverse and strengthening both intellectual and mobilizing activities in a joint ESF process. Such a transition period might lead to disintegration but also result into something new more capable of overcoming the mehodological and political problems of the ESF to face the social and ecological crisis and being a mobilizing strength for popualr movements. The Sixth European Social Forum ended in Istanbul on Sunday. For those who had attended previous forums in Florence, Paris, London and Athens, it was a sad spectacle indeed. There were few participants and the speeches of the delegates resembled a superficial retelling of the discussions that took place at similar meetings in previous years. There was genuine enthusiasm after the first Social Forum eight years ago. The sixth European Social Forum was dominated by bland NGO politics and obfuscatory Maoism, about 3,000 people participated in the sixth European Social Forum (ESF) in Istanbul. 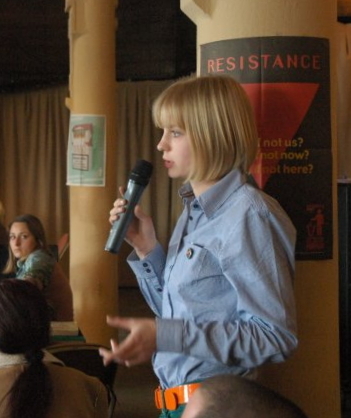 There were 200 seminars about the economic crisis, climate change, students’ protests and many other topics. Das sechste Europäische Sozialforum in Istanbul. Ein Resumee von Urlich Brand. Im Mittelpunkt des sechsten Europäischen Sozialforums in den ersten Julitagen in Istanbul – nach Florenz 2002, Paris, London, Athen und Malmoe 2008 – stand natürlich die aktuelle Krise. Schwerpunkte waren die Wirtschafts- und Finanzkrise, dieses Mal besonders prominent die Klimakrise und, bedingt durch den Austragungsort, Energie- und Wasserkonflikte. „Das Sozialforum ist noch nicht tot, es vermodert nur am eigenen Laib”, so fasste ein Teilnehmer ironisch-verärgert, das Europäische Sozialforum (ESF) 2010 zusammen. ….. Auch wenn es momentan der einzige „Raum” auf europäische Ebene ist, wo Tausende zusammentreffen und hunderte VertreterInnen verschiedener Organisationen die Koordinierung des Widerstandes vorantreiben können, so zeigte sich in Istanbul auch, dass eine große Mehrheit der informellen Führung des ESF, der dominierenden Kräfte aus linken Gewerkschaften, von attac, auf Vereinigungen, die der europäischen Linkspartei nahe stehen usw. das einfach nicht wollen. Why Low Turnout at ESF March? Bianet has asked international and Turkish activists why so few people joined the march of the European Social Forum on Saturday. 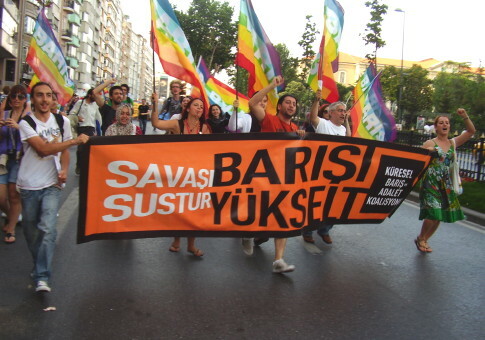 On Saturday, 3 July, around 3,000 people joined the march of the European Social Forum (ESF) in Istanbul. With Europe in crisis, and Turkish undergoing deep changes, the European Social forum was merely business as usual, with a declining number of participants. The summary of the forum merely made reference to the European-wide day of action on 29 September, rather than discussing and developing a strategy for the movement. VI. Európai Szociális Fórum – Isztambul 2010. július 1.-4. Minden szervezési probléma ellenére az isztambuli fórumot sikerült megrendezni, amelyet pozitívumként kell értékelni, mert kb. 3-4 hónappal ezelőtt úgy látszott, hogy a fórum elmarad. A rendkívül szűkös anyagi háttér és humán erőforrás ellenére a VI. ESZF lehetővé tette az európai baloldal képviselőinek, civil csoportjainak az ismételt személyes találkozókat, a véleménycserét. Találkozhattunk a török szociális mozgalmak különböző áramlatainak aktivistáival, megismerhettük a Törökországot alapvetően foglalkoztató kérdéseket: a kurdok szabadságtörekvéseit, a gázai flotilla szomorú ügyét, a török szakszervezetek követeléseit. Official report by Greek Social Forum and statement below. 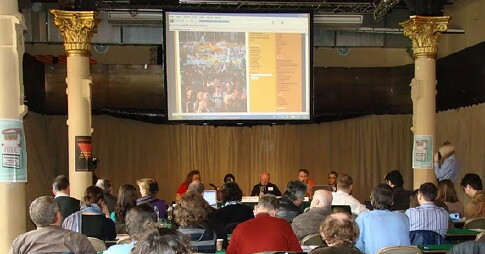 The Balkan meeting organised by the Greek Social Forum in Thessaloniki on April 10, 2010, in preparation for the Social Forum in Istanbul , had a full day session, where many issues were discussed. 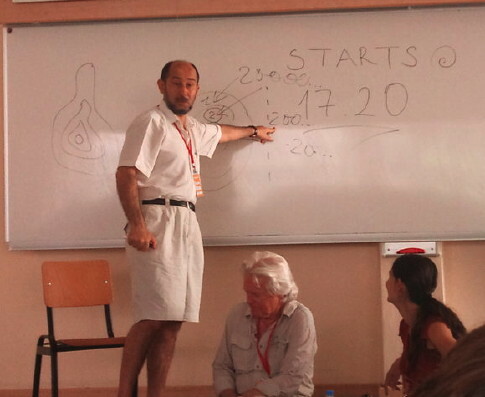 First, there was a presentation of organisational preparation by the representative of the Turkish organising committee, Eyüp Özer, in which he stressed the differences of the present social forum to the previous ones. He referred to the expected presence of countries from Asia and Northern Africa , as a qualitative element, he said that three thematic Assemblies are to be held the previous from the last day of the Forum, and a single Assembly at the last day. The halls of the seminars and activities are booked, and they will soon send information for accommodation and for solidarity accommodation. 70 organisations from Turkey are participating in the organisational committee. Matyas Benyik from Hungary brought the information from the successful preparatory meeting that took place in Prague on 27-28 March, with more than 70 participants, and stressed the big discussion on the rise of extreme right in Europe and the creation of a network on this subject that will have seminar in Istanbul and will continue with another European convention in Autumn. 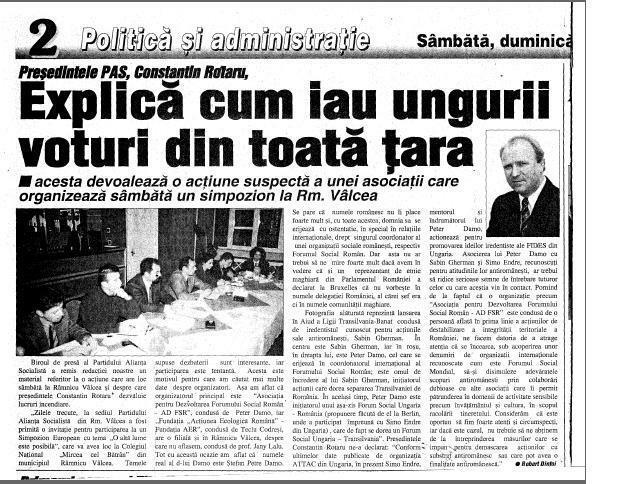 were stressed, but also the question of creation of a real left in Albania and the efforts to this direction. caravan that will proceed and follow the Istanbul ESF, with a great preparation. They also stressed the question of militarism and military expenditure, and the need to resist military spending and occupations in the Balkans that are presented as “peace missions”. one in Skopje in January and one in Tirana in March. A special women’s meeting was held in the afternoon for the elaboration of the networking and organisational issues for the women’s day. The proposal for ecological way out of the crisis was put forward by Makis Stavrou, president of the Greek network of Friends of Nature, who stressed that we speak of another world, we don’t want to come back to the situation that led to the crisis, and we need to elaborate a total plan that will include the ecological dimension. Finally, Banks trades unionist Dimitris Tsoukalas made an analysis of the power of banks in the economy and their decisive impact in the crisis. The meeting was held in the Labour Centre of Thessaloniki and its vice secretary, Giorgos Papakonstantinou, stressed the importance of international networking to confront the crisis and the need for popular mobilisations against the anti-labour measures of the Greek Government and the EU. Attached statement against racism and nationalism, that was produced by the meeting. The participants of the Balkan meeting held in Thessaloniki, on the 10th of April 2010, organised by the Greek Social Forum in preparation for the 6th European Social Forum in Istanbul, want to stress our commitment to international solidarity, friendship of the peoples and collaboration of the movements for social justice. We condemn more particularly the hate slogans shouted by army personnel parading during the Greek National day of 25th of March, and we want to reassure everyone that the peoples of Balkans in their big majority deplore such events in everyone of our countries. We call the governments of the Balkan countries and other political subjects, to seriously consider promoting the spirit of friendship among the Balkan countries, instead of hiding behind the euphemism of “patriotism”. Participants in the meeting were Social Forum activists from Greece, Turkey, Former Yougoslav Republic of Macedonia, Albania and Hungary.